When I saw that Nina George had written another novel I was keen to get my hands on it, and I'm delighted to be part of the blog tour which coincides with the new book's publication. 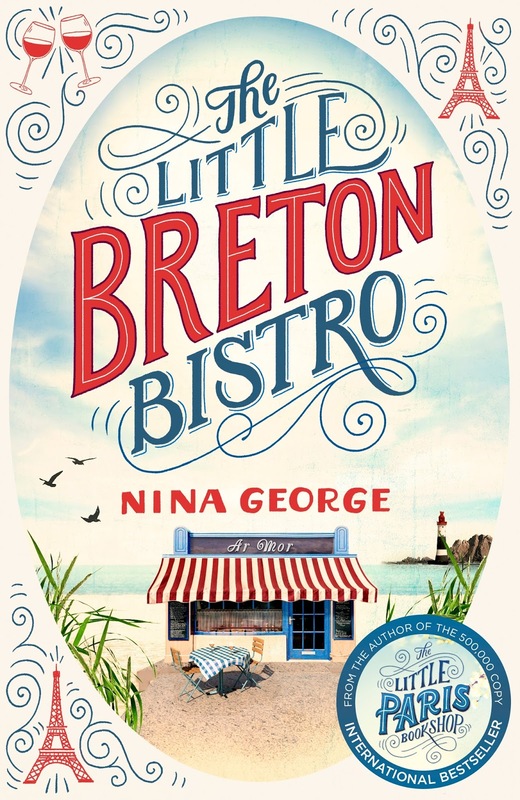 Like The Little Paris Bookshop, The Little Breton Bistro is about a character's journey to living a more meaningful life. In this case we follow the forlorn Marianne, from a trip to Paris with her husband during which she realises she cannot carry on in what feels to be a loveless marriage, to a Breton Bistro where she inadvertently ends up being hired as a member of the kitchen staff. At first, each day is merely a the day before she chooses to end her life but to Marianne's surprise, she soon gets drawn into the community of colourful characters, finding a sense of self worth and belonging she had not anticipated. Like in Nina's previous novel, the setting is vividly drawn and this is part of the real enjoyment for the reader as we feel we are truly able to escape our own lives in these pages. We can smell the sea air, taste the oysters and champagne, and fully appreciate Marianne's love of the town she ends up in. As a protagonist, Marianne makes for an interesting character; unassuming and the forty-year victim of an overbearing husband, she is allowed to flourish finally, and realizes she has gifts that others want to share in. This character arc is well crafted by the author and makes for a satisfying conclusion to the novel. The Little Breton Bistro is a love story but it's more than that; it's about self belief and making the most of life. Overall, a thoroughly enjoyable read. 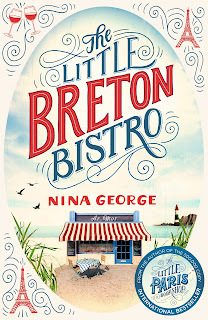 Follow #LittleBretonBistro for others on the blog tour. Many thanks to the publishers for providing an advanced copy in return for an honest review.